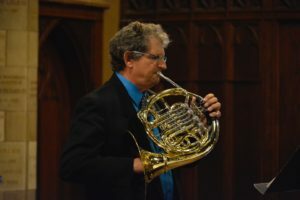 Crosswinds Trio presents a unique sound in chamber music. 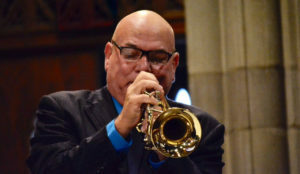 Gary Ross (trumpet), Lawrence Kursar (horn) and Michael Toth (piano) draw on their diverse musical backgrounds and experiences from the orchestral stage, the jazz club, and the recital hall to create a refreshing sound. Their expressive and inspiring playing, coupled with diverse programming infused with humor, has led to rave reviews and standing ovations. 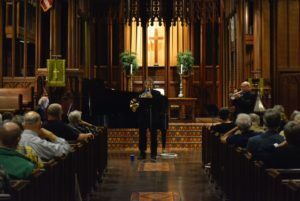 The establishment of the high brass trio (trumpet, horn, and piano) as a new chamber music ensemble has been the mission of Crosswinds Trio for the past 17 years. 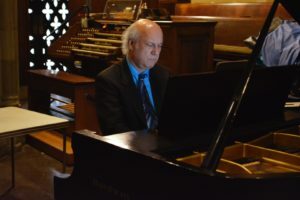 They have written over two hundred and fifty arrangements during their time together and have performed these arrangements all over North America, Europe and the UK inspiring composers to write for this new and unique ensemble. We encourage to look through out site, listen to our music samples, hear us live, and contact us for more information so we can bring our music to your venue.